S/Sgt. J.C. Stone, Jr., son of Mr. and Mrs. J.C. Stone, graduated from Laing High School; husband of the former Darine D. Hurley. 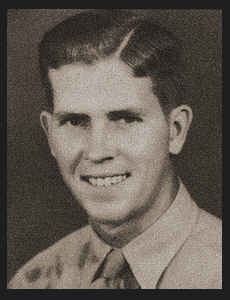 Entered Army in Aug., 1941, trained in Jefferson Brks., Mo. ; served in Hawaii and S.W. Pacific; was discharged. Awarded Good Conduct Medal, Asiatic Pacific Ribbon, Am. Defense Ribbon.